When will be Pee-Wee's Playhouse next episode air date? Is Pee-Wee's Playhouse renewed or cancelled? Where to countdown Pee-Wee's Playhouse air dates? 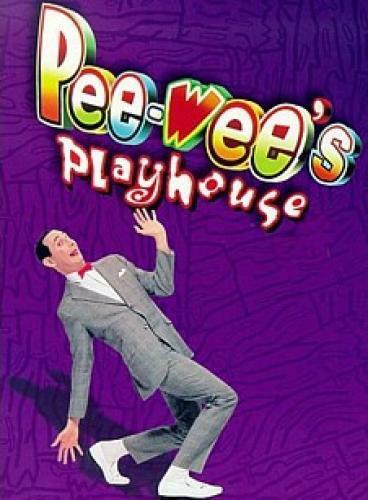 Is Pee-Wee's Playhouse worth watching? Scream along to the SECRET WORD with Pee-wee Herman and his pals — Jambi the Genie, Miss Yvonne, Cowboy Curtis, Reba the mail lady, Captain Carl, Magic Screen, Conky, Globey, Chairry, Pterri, Randy and many more! Aaaaarrrrrrrrr!!! I know you are, but what am I!?! Mecka-lecka hi... Mecka-hiney ho! Pee-Wee's Playhouse next episode air date provides TVMaze for you. EpisoDate.com is your TV show guide to Countdown Pee-Wee's Playhouse Episode Air Dates and to stay in touch with Pee-Wee's Playhouse next episode Air Date and your others favorite TV Shows. Add the shows you like to a "Watchlist" and let the site take it from there.